I code by the sea. 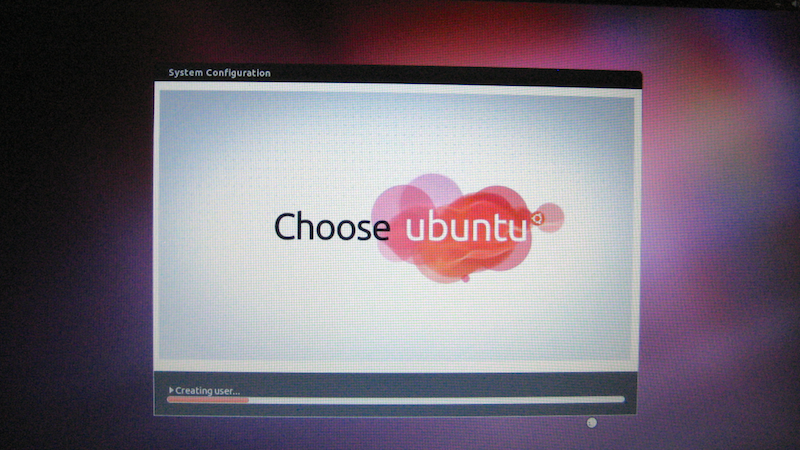 : Dell Vostro 2420 with Ubuntu 11.10 Preinstalled. 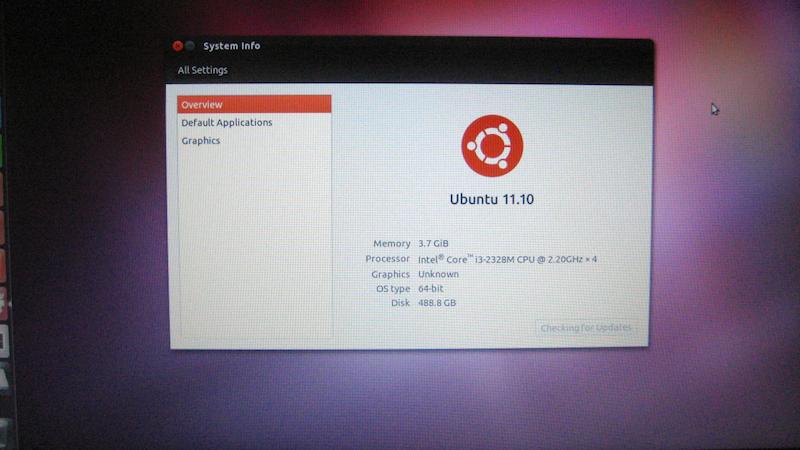 Dell Vostro 2420 with Ubuntu 11.10 Preinstalled. 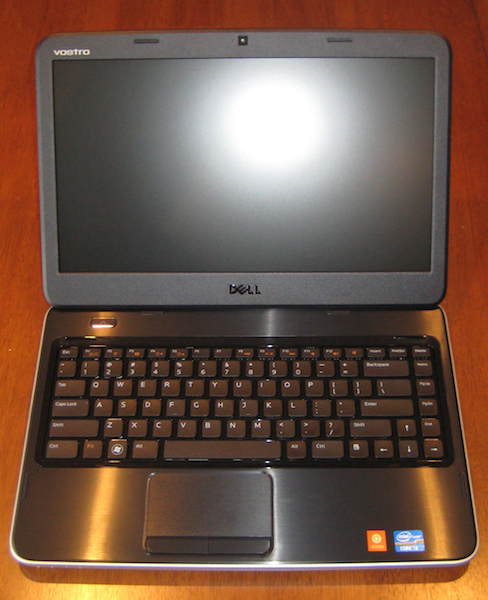 Going back to my university days I had said that if I was in the position to purchase a laptop directly from a large manufacture with Linux pre-installed that I'd give it try - well, I'm in the position now, so I ordered a Dell Vostro 2420 with Ubuntu 11.10 pre-installed. The Vostro case of the 2420 series follows closely to the Vostro 15xx series (I have a Vostro 1540 I use for Windows 7 Professional testing). So what does this laptop look like? 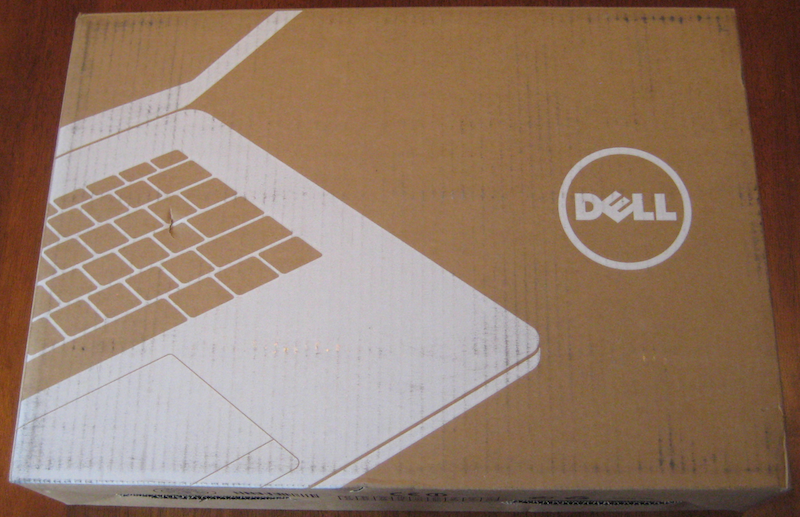 The Vostro 2420 comes in standard Dell packaging, I detected no damage to any of the contents. 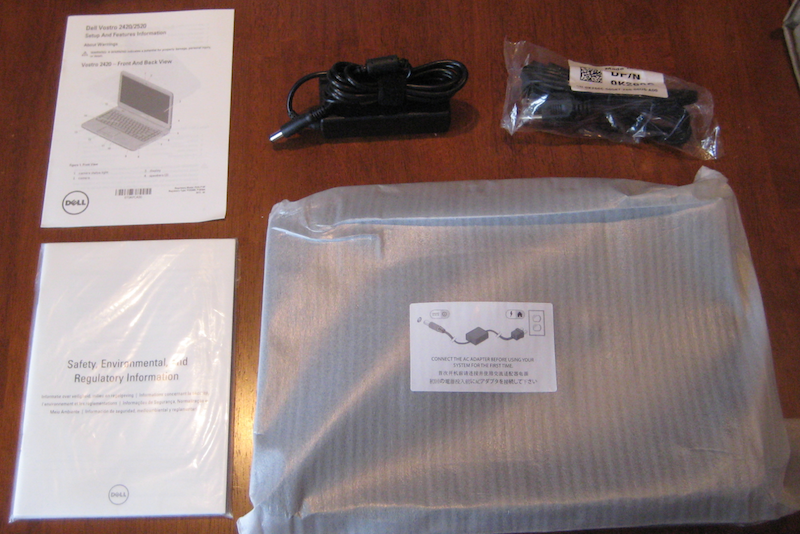 As pictured, the box contained the laptop, power cord and adaptor, environmental, warranty, and parts paperwork. Taking a closer look on the left side of the laptop we can see the ethernet , svga, and two USB ports. On the right side we can see two more USB ports, the CD/DVD Burner, and the audio headset and Microphone in ports. On the front panel the usual set of LED indicator lights can be found on the lefthand side, while in the centre the SD MMC MS slot is accessible. As above I was quite happy with the hardware, however there was one issue - user access to the interior of the case left my pristine laptop with gouges in keyboard inlay. The issue is that you have to pry back four clips in the keyboard tray to gain access to the inside of the machine. If you do remove the keyboard you will however find that accessing the two So-Dimm slots easy. Further deconstruction of the laptop is required from here to access the hard drive. 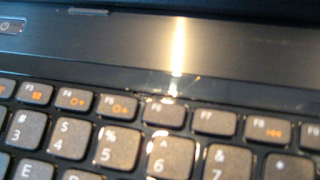 Be careful when unlocking the clips that hold in the keyboard, it's easy to gouge the surrounding plastics. Having a Ubuntu case badge - again its nice to not have to carry around a badge for an OS I'm not using (I will note that the windows key remains on the keyboard). The setup of the laptop was for the most part plug and play, however there were a few little setup issues that I had to resolve. Swap had to be manually enabled. Then editing /etc/fstab and /etc/rc.local to ensure that the swap space would be used on each boot up. System Info did not display the graphics driver. This machine wasn't purchased to be a main development rig, or for load testing - it's purpose is to do general build and runtime testing. 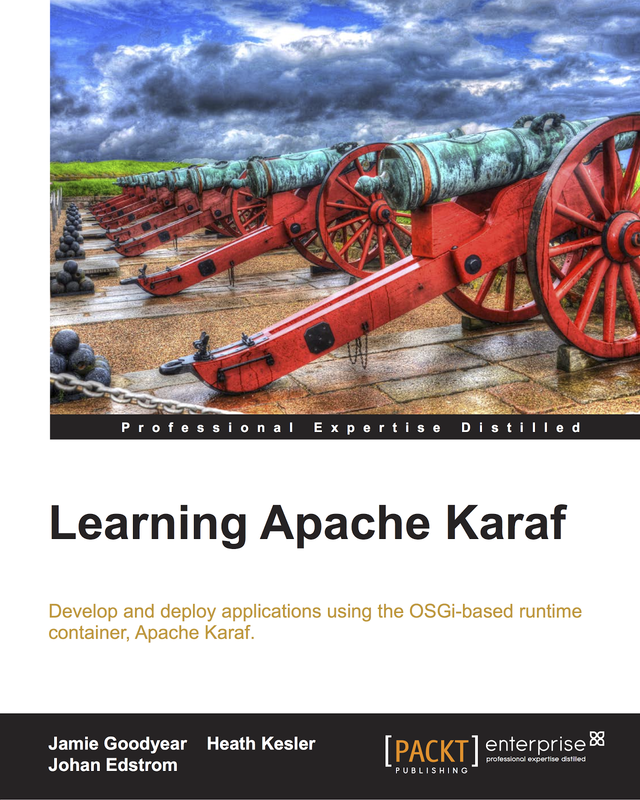 This being said I ran two simple operations to gain a base level understanding of this system's capabilities for workloads it'll be seeing. 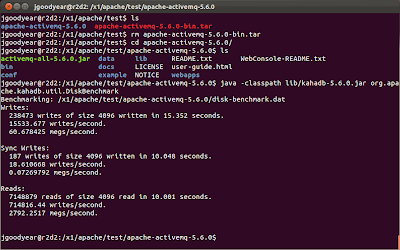 Apache ActiveMQ 5.6.0 KahaDB Disk Benchmark using Java 1.6.0_35. 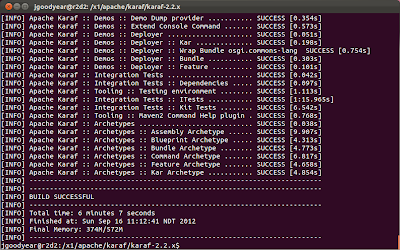 In my first test I built Apache Karaf 2.2.x source tree in Maven offline mode, which took just over 6 minutes build time. 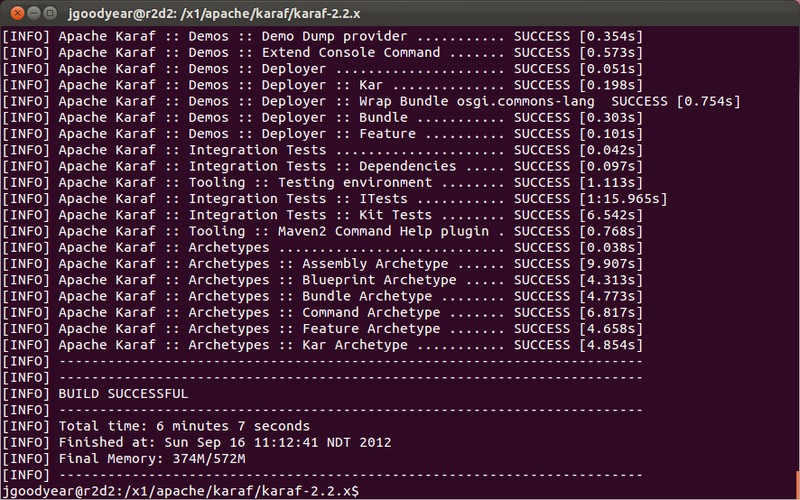 Please note that this build includes kit assembly and test case execution. 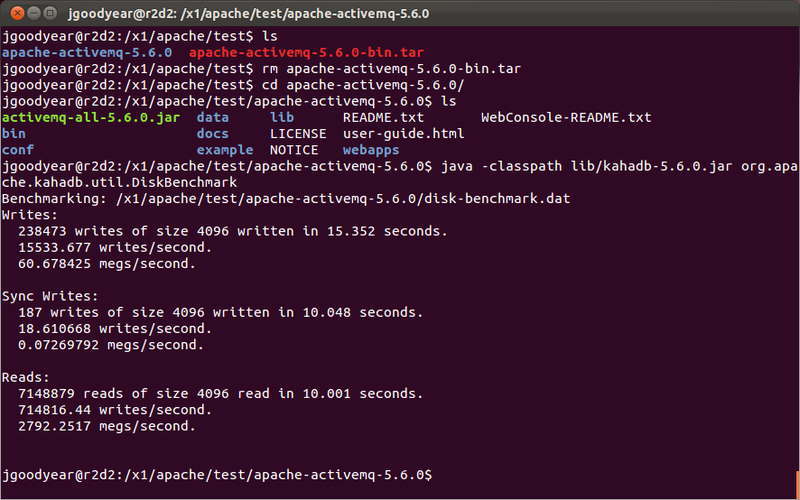 In my second test I ran the Apache ActiveMQ KahaDB Disk Benchmark test. The laptop's 500 GB 5400 RPM SATA drive stats are about where I'd expect a drive of its class to score. As a pre-installed, general purpose Linux machine it's quite good. Out of the box it was straight forward to configure and have up and running on my network in just a few minutes. 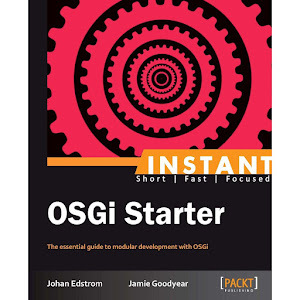 Basic office productivity apps were on my desktop, and the Ubuntu software centre made it easy to find more applications. As a build validation and test bed it should keep up with work loads I'll be throwing at it as long as I keep the laptop inherent capabilities in mind. If I find that it's not keeping up than it should be a simple process to add some additional ram and swap the hard drive for a solid state device. As this system stands, if I had the need for another Linux laptop for general purpose work loads I would order this unit again. I recently updated the Vostro 2420's hardware and OS installation - read about the process and results here. I used a pair of slotted 2.4 x 25mm precision screwdriver to gently ply each tab back - one to push back the tab, then the other to slide under the keyboard tray to pop it up. Luckily there is a laptop chassis panel between the keyboard and motherboard so you're not likely to damage anything as you ply underneath. The main thing to do is go slow, take your time. I tried to be as careful as possible but I still have gouges in the plastic liner. Editor's note: I removed the duplicate post of the above question. Totally aggressive information you shared here i am fully recommended from your post keep continue sharing. It is possible to install the Solaris OS on the dell vostro 2420 laptop, which have core i3 processor. please suggest me. it's very urgent. I haven't tried installing an x86 Solaris OS on this laptop - I'm actively using this machine for my development and testing of various Apache projects. I've installed Solaris 10 x86 before on other laptops - its not too difficult a process. 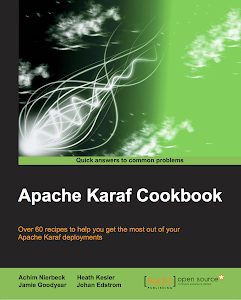 I'd suggest that you try an Oracle Solaris live CD on the machine if you already have one. If I have an opportunity I'll give it a go and post back the results. 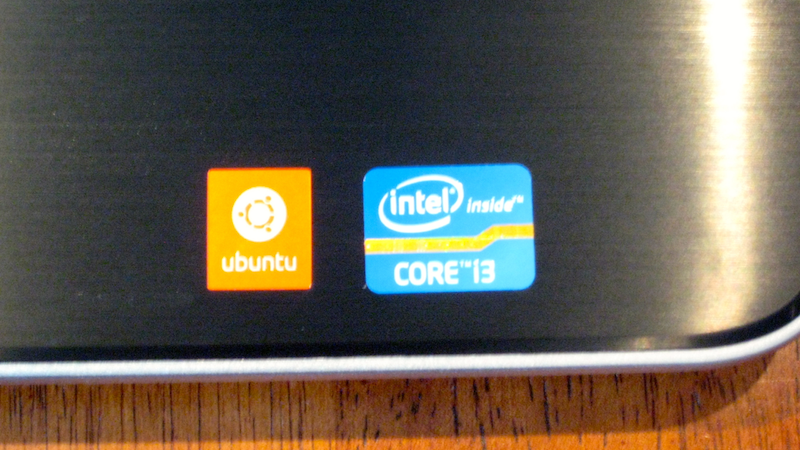 Does ubuntu 13.04 run on these as well as 11.10? as in functionality of parts ? Does ubuntu 13.04 run on this ok? I haven't had the opportunity to update to 13.04. I ended up having to setup this laptop as an Oracle 11g server - its not the most performant machine, but it gets the job done for my Proof of Concept projects. o Offer a higher resolution display option. o Offer an option to have 8GB ram factory installed. o Offer an option for a factory installed SSD. Given that this is a low cost entry level laptop the last two options can be done by the user post purchase - it just shifts the compatibility support to the user, it'd be nice to just have a build option. I really can't comment on the machine's fitness for that application. 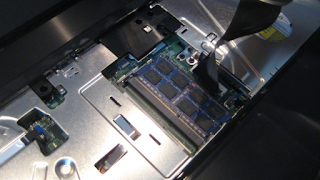 I upgraded the memory and hard drive on my laptop after using it for a while, it's ok as a student learning device but I wouldn't want to use it for heavy lifting. The track pad can be a bit too sensitive, so make sure to have a mouse available. As this machine has been out for a while now I'd say wait a little to pick up the next iteration of the laptop. I am planing purchase the same one .But I want to run Win 7 in this lap.Whether it is possible..Is there any other issues like drivers,compatibility..etc with Win 7.? 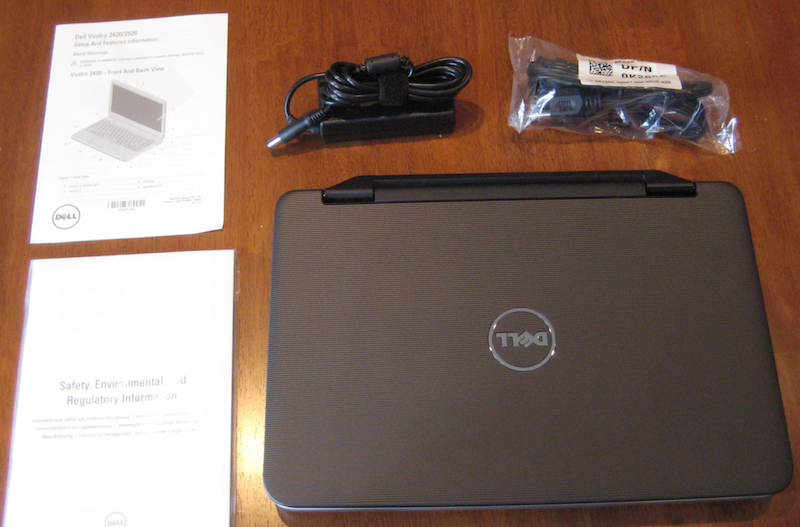 At the time i bought this laptop Dell was selling the same model with Win7 pre-installed.